JUNEAU, Alaska – In response to the popularity and near-cult following it gained this spring as a seasonal beer, Husky IPA returns, joining the pack as Alaskan Brewing Company’s newest year-round beer. Husky IPA is a celebration of Mosaic hops and their unmistakable tropical and fruity aroma. Known for their incredible endurance and power, the Alaskan husky is a working dog, able to pull heavy loads over long distances. Mosaic hops also pull their weight as the heart (and tail) of Alaskan Brewing’s latest addition to the year-round lineup. This brew was created with the goal of highlighting Mosaic hops’ tropical and stone fruit flavors. It is a Juicy IPA with the bright aroma of tangerine and papaya. In early 2017, Alaskan Brewing supported animal organizations with the Ales for Tails program, where participating locations made donations to local animal organizations in honor of Husky IPA. 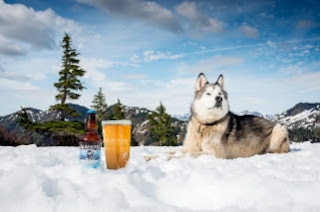 Alaskan Brewing introduced Husky IPA as 2017’s spring seasonal just eight months ago and chose to reintroduce it as part of the permanent lineup in response to popular demand. Husky IPA will be available beginning September 1st where Alaskan Beer is sold. The Ales for Tails program will resume in 2018.